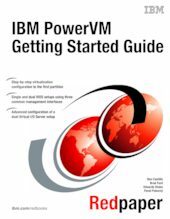 IBM® PowerVM® virtualization technology is a combination of hardware and software that supports and manages virtual environments on IBM POWER5, POWER5+, POWER6®, and POWER7® processor-based systems. These systems are available on IBM Power Systems™ and IBM BladeCenter® servers as optional editions, and are supported by the IBM AIX®, IBM i, and Linux operating systems. With this set of comprehensive systems technologies and services, you can aggregate and manage resources with a consolidated, logical view. This paper also highlights advanced configuration of a dual Virtual I/O Server setup. This paper targets new customers who need assistance with quickly and easily installing, configuring, and starting a new PowerVM server in a virtualized environment.